Beginning his career as a baritone at the age of sixteen, Adam Wood has now diverted his attention to Armstrong's School of Singing of which he is founder and head vocal coach. 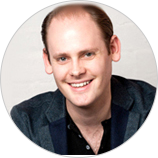 Having performed some of the most challenging lead roles in a variety of theatrical and opera companies around Melbourne – Gilbert & Sullivan Opera Victoria, Park Players and Melbourne Opera – Adam Wood is irrefutably gifted, talented and highly passionate. Adam has also performed as a soloist, his portfolio encompassing a range of covers and originals throughout Melbourne and in the alternative band – Sound Scape. In 2006, Adam commenced the change to tenor, subsequently appearing as a soloist in concerts and recitals – both in Australia and overseas, highlighted by the invitation to sing at the Spring Friendship Art Festival, North Korea. Coming from a diverse background, Adam Wood studied singing and voice across many genres for over 17 years. Having worked with a variety of teachers – including Daniel Ferro (Juilliard School of Music); Jan Philip Schultze (Germany); Robert Kopelson (USA); Bruno Rigacci (Italy); and, Gary May (Australia) – Adam is uniquely positioned as both singer and head vocal coach. It was, however, during his extensive work with the late international Heldentenor Jon Weaving (Australia) that Adam's passion for teaching and helping others on their vocal journey was realised. Truly passionate about teaching and firmly believing anyone can sing well, Adam applies a no-nonsense approach to vocal instruction. This perspective begins right from the fundamentals of singing and is also applied to any genre or music style he teaches.